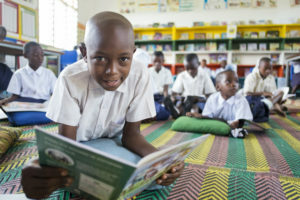 literacy | Raven Hydronic Supply Ltd.
At Raven Supply, we’re excited to gear up into another year of fundraising for the outstanding literacy non-profit Room to Read. Last year, thanks to the support of our customers and vendors, we surpassed our original fundraising goal of $20,000, reaching a total of $24,000 raised, bringing our total amount raised for Room to Read since 2013 to $170,000. This year, we have our sights set on raising another $30,000 to provide 75 Nepalese girls with scholarships through Room to Read Nepal. Today the charity’s Literacy and Girls’ Education Programs in Nepal continue to make a tangible mark on the educational well-being of Nepali children, although there are still many challenges. Nepal is a small, landlocked country wrought with political instability and widespread poverty. 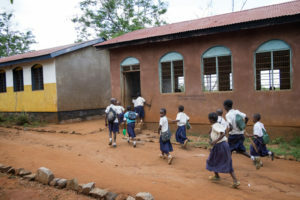 About 40% of students drop out before finishing the primary grades, and a third of children aged 5 to 14 work instead of attending school. Additionally, the 2015 Nepal earthquake destroyed school buildings across the country, leaving one million students without a place to learn. 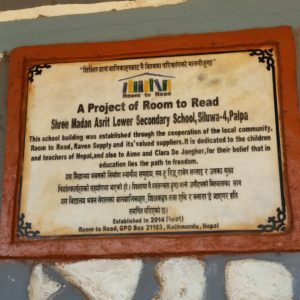 Plaque on Room to Read School in Nepal mentioning the support of Raven Supply and its valued suppliers. Young girls in Nepal face additional barriers to their education because they’re at a greater risk of dropping out due to financial limitations of families and the pressure to marry early. 40% of girls will marry before 18, and this is one reason that the country’s female population is 22% less likely to be literate than their male counterparts. The only organization in Nepal that focuses solely on literacy and gender equality in education, the Room to Read’s Girls’ Education program has supported nearly 5,000 girls since 2001. The charity has piloted an early warning system to identify students in the program who are at risk of dropping out, allowing for early intervention and support. Early detection allows for social mobilizers in Nepal to visit these girls at home, mentor them, and tutor them on the content of missed classes. So far, over $2000 has already been raised in 2019 between Raven Supply and our community of customers and vendors for Room to Read Nepal. We couldn’t do it without you! 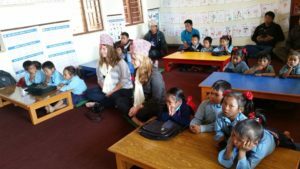 Room to Read students host visitors at their school in Nepal. That’s why we love sharing updates and news about just how many scholarships have been raised out personalized thank you letters to our customer and vendor supporters. Additionally, Megan Davies here at Raven Supply will visit the Room to Read Nepal project this year to take photos and report back on all the outstanding work happening there, and we’ll sure to keep you updated here.